Razor’s 9* NHL O/U Can Of Whoop-A$$! *65-33 Run*! Total winner posted on Maple Leafs v. Bruins! Ray Monohan is on an impressive 65-33 (66%) run over his last 105 ALL picks! Razor has made $1,000/game bettors $28,920 since December 18, 2010! Join us today & start making P-R-O-F-I-T-$ 1-day at a time. Razor’s 8* NHL ML Red Light $pecial! Money Line winner posted on Golden Knights v. Sharks! Ray Monohan is on an impressive 11-6 (65%) run over his last 17 NHL picks! Razor has made $1,000/game bettors $3,120 since February 15, 2013! Join us today & start making P-R-O-F-I-T-$ 1-day at a time. 100* NHL Game of the Night!! Bobby has been RED HOT recently coming off a 40-29 (58%) NHL run on the ice. Dime bettors have made $12,720 since January 02, 2019! Don't miss out, hop on board and watch the PROFITS PILE UP! As always, this play comes GUARANTEED TO WIN or you get the next day of NHL FREE from Bobby! AAA just keeps racking up winning days. After going 5-1 Sunday, it was a winning Monday as well! Now up $27,971 OVERALL since Feb 6th! Last night saw them cash in with their *10* Game of the Week in NHL (Carolina)! Tonight, the "time is right" for this week's TOP total! You have TWO choices: either get on board or get out of the way! BIG AL's 45-15 TUESDAY NIGHT NHL GAME 7 WINNER! <b>Al McMordie CASHED his NHL Game of the Week</b> last night on the Carolina Hurricanes, who blew out Washington, 5-2. If you enjoyed that EASY WINNER, then don't miss <b>Big Al's #1 Hockey play</b> in a decisive Game 7 tonight, on Tuesday. It's backed by <b>two angles that combine for a 45-15 record</b>, so get the PUCK PROFITS right now, and ICE your Bookie on this Tuesday! Chip Chirimbes, the 'Big Game Player' and 15-time Las Vegas Champion has been called a 'Post Season Wizard' by the Nation's media and is now 9-2 83% with his NHL Playoff 'Highest-Rated' Power Play releases after Carolina WINS 5-2 over Washington. Chip has Handicapping awards from Las Vegas Hilton, Stardust and Stations Casinos contests and has a 'Guaranteed' Highest-Rated NHL Power Play Best Bet winner between Vegas and San Jose. Get this Best Bet winner for only $39! ***LIFE-CHANGING 9-1 +$10,000 NHL RUN! *** TOTAL OF THE WEEK! Tim MONEY Michael is on a PLAYOFF RUN FOR THE AGES! In BOTH the NBA and in the NHL! However, he’s been particularly DOMINANT on the ice so far as he enters this one on a TRULY REMARKABLE 9-1 (+$10,000) NHL Playoff streak of LIFE-CHANGING GREATNESS! Are you ready to change your financial life too?! Join Tim’s Team today and start winning RIGHT AWAY! It’s been an AWESOME series and Tim MONEY Michael is ready to CA$H OUT LARGE iN Game 7 - get the WINNING CALL right now! Fargo is having another highly profitable NHL Season and he is not close to done! He is coming off a Winner with Carolina on Monday and he is now on a SOLID 25-13 run! Also, he is 141-119 YTD while going a HUGE 303-225 (+$39,692) since the start of last season! Do not miss his Tuesday Top Play Winner and WIN this one WITH EASE! Do not make a move without this info! Guaranteed! **GOY ALERT** 10,000 DIME NHL NO LIMIT GAME OF THE YEAR! 13-3 RUN! 13-3 +$11,000 ALL SPORTS RUN! Johnny Banks owns your man with his huge 10,000 DIME NHL NO LIMIT GAME OF THE YEAR that sends your man running TUESDAY NIGHT! Ben Burns was 4-2 on Sunday, including a 2-0 mark on the ice. Winners included the Sharks and the 'under' in the same game. That never-in-doubt winner was his NHL Playoff Total Of The Year. Congrats to the many that joined. Burns enters Monday's action with a 59-38 RECORD on the month overall. That includes a 6-3 mark with his top-rated NHL sides! AMAZING 11-0 MLB run on the line tonight! The last couple of days not withstanding, the last few weeks have been simply AWESOME from Will Rogers! Now 17-8 +$5K all picks L7 days and 58-34 +$15.5 in April. Now it's time to get back on track with a SWEEP OF THE BOARD on Tuesday night! Jim loves a total so much in one of Tuesday evening NHL game 7 plays that he's making this his 1st Round Total of the Year. 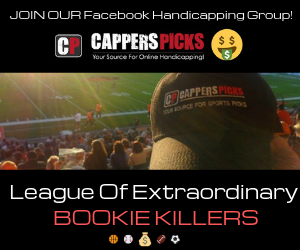 Join a Vegas pro with over 47 years of handicapping experience and WIN with JIM tonight in the NHL with his 1st Round Total of the Year. NHL Tuesday Total Dominator on Maple Leafs v. Bruins! 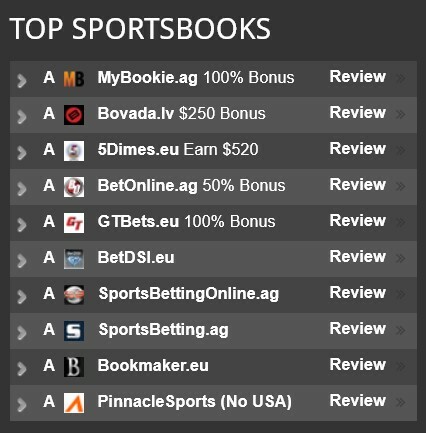 I'm looking to continue my impressive 179-153 (54%) run over the last 347 ALL picks! Join me as I have made $1,000/game bettors $12,290 since May 10, 2017! Get in on one of the BEST over/unders for sale on the site today for NHL. It's my TOTAL DOMINATOR on Maple Leafs v. Bruins and it will "Totally Dominate!" NHL Money Line on Golden Knights v. Sharks *86-74 Run*! Doc's Sports is on an impressive 86-74 (54%) run over his last 161 NHL picks! Join the same handicapper that has made $1,000/game bettors $5,200 since April 17, 2009 with his Money Line on Golden Knights v. Sharks! TRAN’S 10* NHL “CLASH-OF-THE-TITANS!” <=== Leafs/Bruins Game 7! This series have been anything but predictable. Except for NOW! Ricky UNLOADS in Game 7 of the Leafs vs. Bruins Round 1 Super Series! Get the winning side call IMMEDIATELY - you know what to do! Join Ricky Tran with his money line on Maple Leafs v. Bruins!